Here it is: A thigh-high slit that reaches the stars! 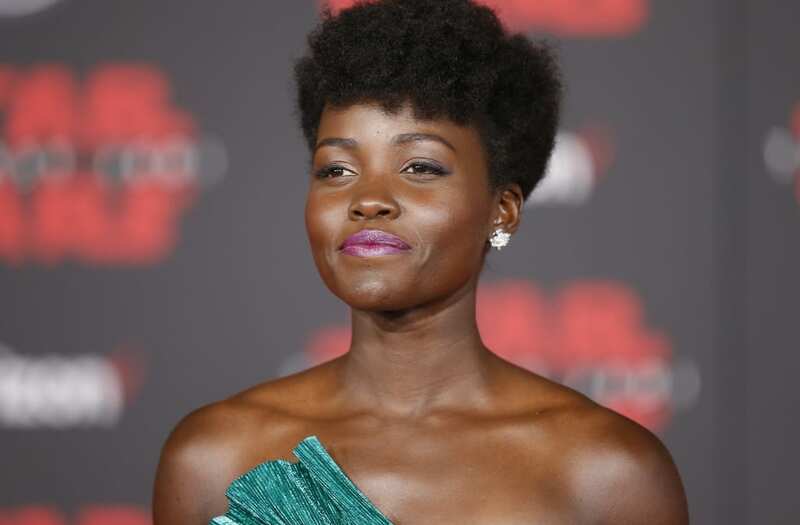 The sexed-up, leg-baring look was all over every red carpet in 2017, but Lupita Nyong'o managed to do it best at the Sunday premiere of "Star Wars: The Last Jedi." Daisy took the titular "star" literally in a sparkling deep blue dress with white star appliques. Smoky blue eyes finished the head-turning look. Meanwhile, Sofia Vergara and Laura Dern opted for a more traditional aesthetic: Sofia's tea-length navy dress was safe but lovely, and Laura's lingerie-inspired lace gown proved she's always willing to take a fashion risk! A number of young stars turned out for the night, as well. "Stranger Things" actor Gaten Matarazzo and Disney Channel actresses Sofia Carson and Dove Cameron were all excited to attend the hot-ticket premiere. Check out all the looks in the gallery above -- and notable looks from past "Star Wars" premieres in the one below.